A Belgrade court has provided that the former general Mladic can be extradited to the Netherlands. The court has determined that Mladic’s health would permit him to stand trial in the UN court in The Hague, said court spokeswoman Maja Kovacevic. His family has claimed Ratko Mladic is not healthy enough to be extradited. Milos Saljic, a defense lawyer for Mladic, told the Associated Press the defense will appeal on Monday. 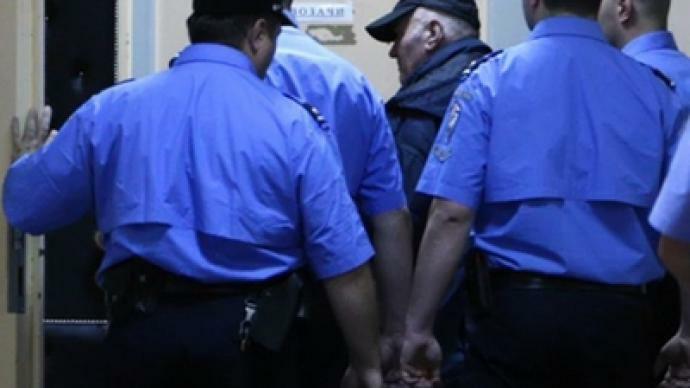 Fugitive Bosnian-Serb army General Ratko Mladic was arrested on Thursday after 16 years on the run and is now in Belgrade while authorities seek his extradition to The Hague. Mladic is wanted by the international war crimes tribunal over the genocide of 7,500 Muslims in 1995, as well as other atrocities. His lawyer, however, said the judge did not question him because of what is described as Mladic's poor state of health, and the hearing was put off until today, May 27. He also mentioned that General Mladic does not recognize The Hague tribunal. A spokeswoman for the UN court Nerma Jelacic said Friday the Yugoslav war crimes tribunal is fully equipped to deal with any health issues suffered by the genocide subject Gen. Ratko Mladic when he is extradited to stand trial in The Hague. “[The court] is absolutely capable [of dealing with suspects] who could or may have possible health implications or problems that would impact the trial,'' AP quoted the court representative as saying. Despite the fact that Mladic was on the run for almost two decades, he lived openly in Belgrade until 2005. The arrest of a man, who was called by The Hague tribunal their number one wanted person for charges of genocide and crimes against humanity, is of great significance for the Serbs, who, perhaps, may now expect to be one step closer to entering the European Union. A leaked UN report did what NATO action, UN demands and even a $5 million bounty put up by Washington could not manage to do for years. The report states that Serbia has refused to cooperate in the search for Europe's most wanted man, and came to the conclusion that membership negotiations would be cancelled. Just a week later, Serbia arrested the man who had been on the run for 16 years. 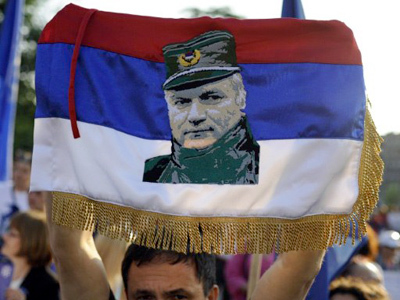 Still, there is enough ground to doubt that getting hold of Mladic will help Serbia gain its longed-for EU membership. The country has already complied with a lot of EU demands, including arresting former president Slobodan Milosevic and political leader Radovan Karadzic. And each time, the response from the EU has been enough to keep the dream of membership alive. However, many experts say that the capture of Ratko Mladic and his potential extradition to the Hague tribunal will only further divisions in this country. The arrest of General Mladic has prompted a massive international reaction from various officials, including the UN Secretary General Ban Ki-moon, Serbian president Boris Tadic, European and American officials, as well as from The Hague tribunal. At the same time, many Serbs, who view Mladic as a national hero, took to the streets across the country, protesting against his arrest and potential extradition. 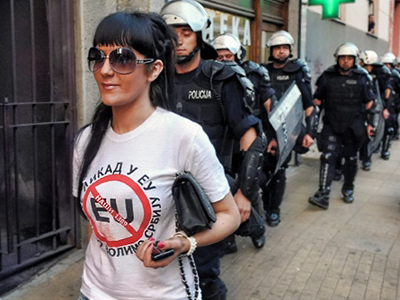 Serbia's authorities had to tighten security in the capital. The Hague tribunal is widely criticized for a lack of objectivity, because everyone who has been put there on trial for their involvement in the Yugoslavian conflict – Milosevic and Karadzic – are Bosnian Serbs, the same as Mladic. Russian Foreign Ministry has commented on the arrest of Ratko Mladic, saying that if he is extradited, Russia hopes he will be able to get a fair trial in The Hague. Some analysts believe that the UN court in The Hague has already made up its mind. Balkans historian Nebojsa Malic says judges declare any Bosnian war efforts as criminal, justifying NATO's actions. 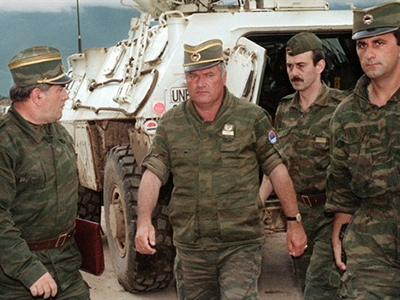 “What the [Serbian] government has managed to do – both this one and its predecessor earlier in the decade that arrested Mr. Milosevic and turned him over, unconstitutionally at the time – it has basically enabled the ICTY to criminalize the entire political and military leadership of any Serbs and former Yugoslavia whether it is in republic of Serbia, in Bosnia or what is today Croatia, and basically outlawed the entire war effort, declared entire war effort criminal,” he said. “This has been seized upon and used mercilessly, both by people in the region who lay claim to Serbian territory even now, as well as organizations such as NATO that seeks to justify their own illegal behavior in 1999 and prior,” Malic added.